Lumio is a picturesque village in the hills above the sea with views over the bay towards Calvi. It is on the coast road from Calvi to l'ile-Rousse. 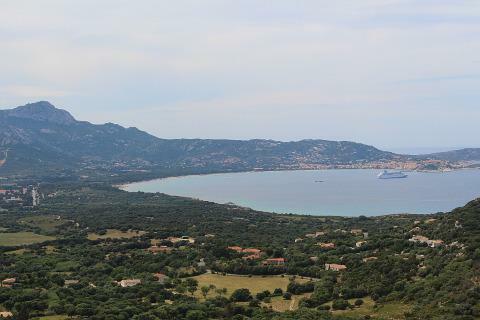 One of the main reasons to visit Lumia is for its excellent views over the Golfe de Calvi. With the sea, the view of Calvi and also the backdrop of hills it is well worth a stop. Lumio itself is centered around its attractive baroque church and tall square bell-tower which is seperate to the church. The village spreads out from the church and includes some attractive villas built in the local stone. As well as the olive trees that abound in the area Lumio has palm trees, mimosas, lemon trees and agaves adding to the charm of the village. The surrounding 'maquis' or scrub that covers much of Corsica is a lovely mix of olives, Pistacia lentiscus, Cistus plants with many small oaks and lavenders and curry plants. It looks and smells wonderful. Further down the village is the pretty Romanesque chapel of Saint Pierre and Saint Paul built in the 11th century. 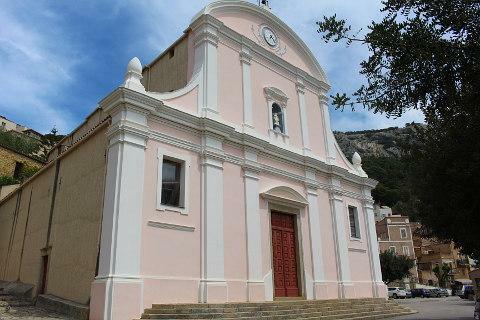 There is a pretty walk which starts in Lumio (by the Santa Maria church in the main square) and goes to the abandonned village of Occi. It was abandonned for lack of water and is now in ruins and is an evocative sight. Its church has been restored by volunteers. A little further along the path from Occi is a panoramic viewpoint. A good day to visit Lumio is Wednesday morning when the village is animated by its weekly market. One of the best beaches in this part of Corsica is the Arinella beach on the coast below Lumia. This is a great sandy beach with shallow water great for children and plenty of water based acrivities. The backdrop of hill plus the scattering of large flat rocks on the beach add to its charm. The town of Calvi is a popular seaside resort and has a pleasant harbour and an old citadelle. L'ile-Rousse is a pretty coastal town very popular with visitors to this area. 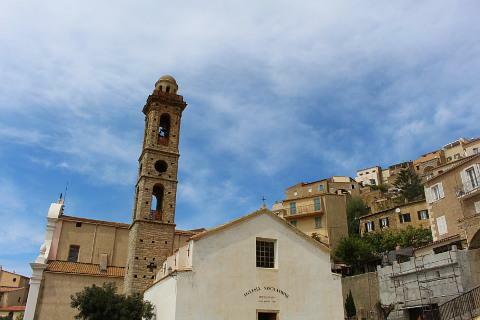 Inland of Lumio visit the villages of the Balagne. 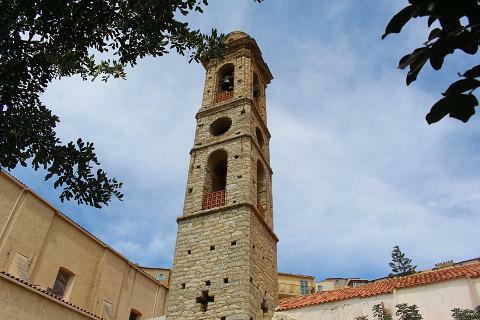 Sant Antonino is one of the prettiest of these and others include Corbara, Pigna and Aregno.